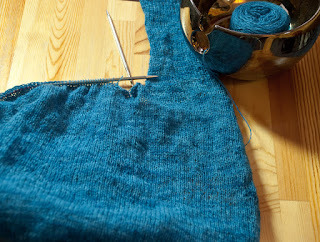 First is an overdue progress report on my Twinkle Twinkle. 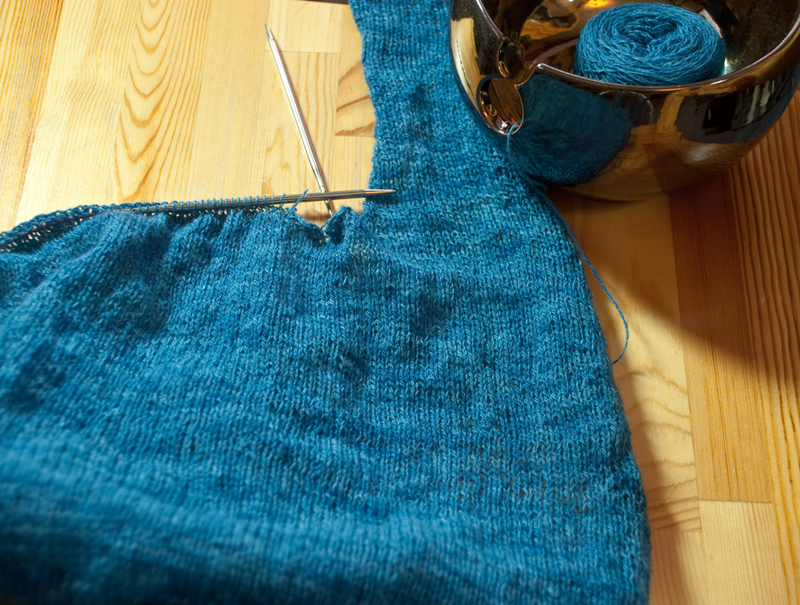 This is the first top I've made that works like this - you start knitting the whole body at the lower border and then divide at the armpits (you can see the right-front cast off here and I'm now on the upper back). 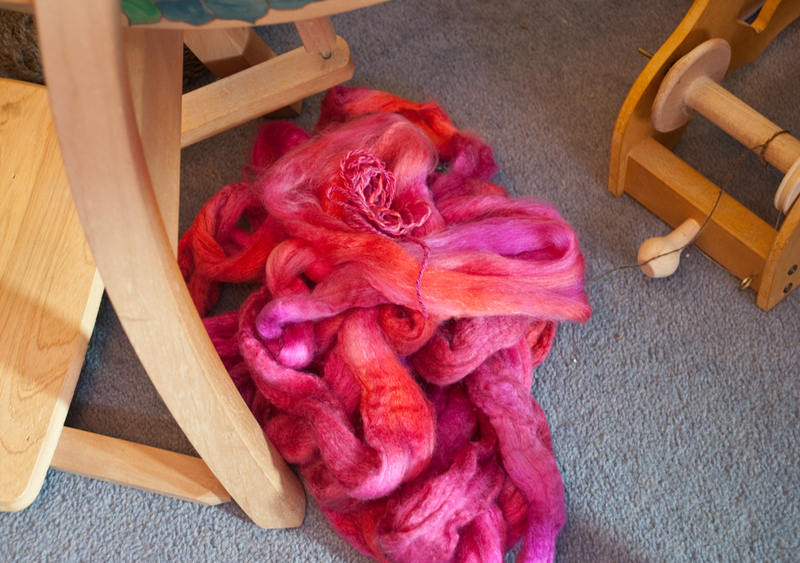 Second, this pile of loveliness is Polwarth wool, yak and silk dyed in colours called 'Be Mine'. It's specially dyed by Marianne of Picperfic's Fluff n Stuff for her fibre club, special colours for Valentine's! Only when spinning did I really see the selection of colours in here from orange through to deep violet. I have the perfect project in mind and really excited by this one. The Polworth Yak and silk sounds interesting, nice colours too. Love, love, love Polwarth and that colorway is to die for. Gorgeous! That is a very lovely colorway! Beautiful colours, I love the blue (my favourite colour)- interesting pattern too. 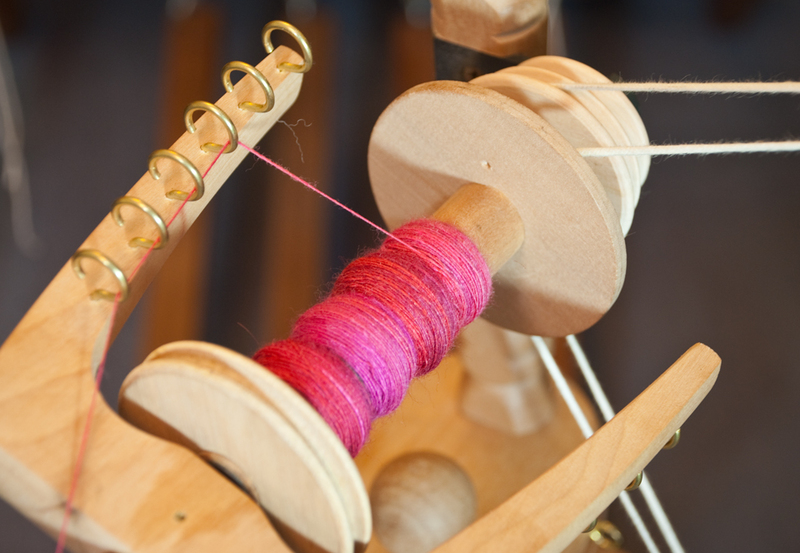 The Polwarth blend looks stunning, rich colours and spinning up lovely. 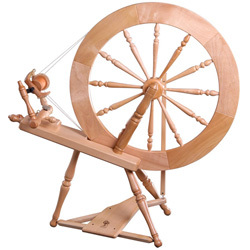 Oh I'm swooning over those colours Sheila looks lovely to spin too! Thanks all, the pink is certainly catching people's eyes. I have a great project in mind for it.